Have you ever driven through a city, looking on as you pass walls decorated in original art created by unnamed artists? The stunning details and colors add a splash of beauty to the city in unexpected places. When you stay with us here at Hotel St Augustine in our Miami boutique hotel, you will be able to explore our city and discover incredible street art that has Miami ranked as the top graffiti destination by Instagram. While many think of graffiti as kids in hooded sweatshirts tagging walls and dumpsters, the graffiti of Miami is far from elementary lines of spray paint. Miami has a long and rich history of artists finding more ways to bring life to our city. In the early 1990s, many decided to create a canvas of a new kind with the walls of local businesses, fences, and squares. A new wave of art was taking the city by storm. From graffitied walls to painted parachute pants, Miami became decorated to the brim with this new art movement. Many New York City residents were making their way to Miami to follow the hype of new sports teams and a promising city that was bounding towards major growth. They took it as an opportunity to step up to the ever-prominent challenge of becoming Miami’s most famous graffiti artist. Though the original calligraphy style has morphed over the years to beautiful murals and commissioned pieces, artists are still decorating Miami as a living, breathing gallery. It is not hard to find graffiti here — you will often stumble upon it as you explore the city. One of the best places to see elegant murals, intriguing designs sprawled out on brick walls, and enjoy one of Miami’s most popular art spots is at the Wynwood Walls, only a short drive from our Miami boutique hotel. Find incredible sculptures and garden areas coinciding with the walls in a square designated to the artists of Miami. Explore Wynwood Walls on your own or book one of the many guided tours. Several local tours are available to take you around Miami to show you some of the lesser known art by locals and underground artists that merely found a blank area to create something spectacular along with specific businesses that have used graffiti to spice up their company. Whether you are a photographer, painter, or just enjoy reveling in magnificent works of art, Miami is the perfect place to get inspired. 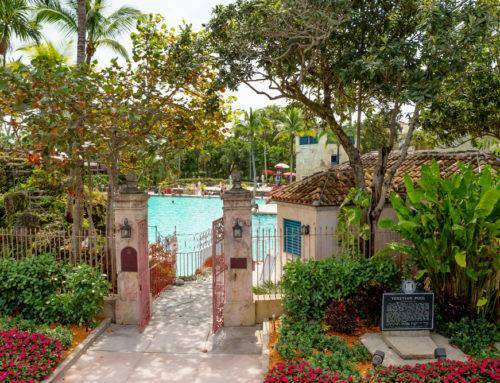 When you stay with us at Hotel St Augustine, take the opportunity to explore the areas surrounding our Miami boutique hotel to soak in the local culture. Let the art of Miami show you a window into our history and enjoy a getaway to our beautiful city with Hotel St Augustine!